On Sale Now! Free Shipping Included! 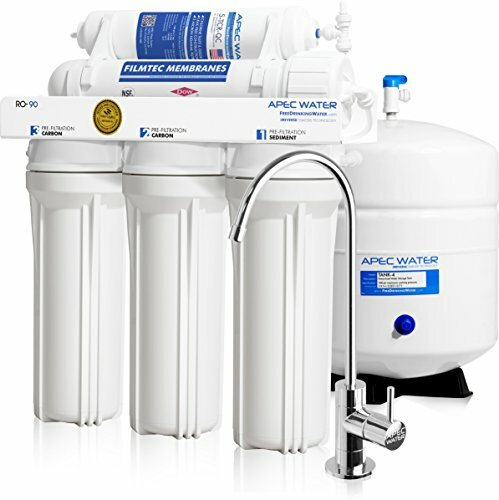 Save 3% on the APEC Top Tier Supreme Certified High Flow 90 GPD Ultra Safe Reverse Osmosis Drinking Water Filter System (ULTIMATE RO-90) by APEC Water Systems at Doctor Joe Says. MPN: RO-90. Hurry! Limited time offer. Offer valid only while supplies last. 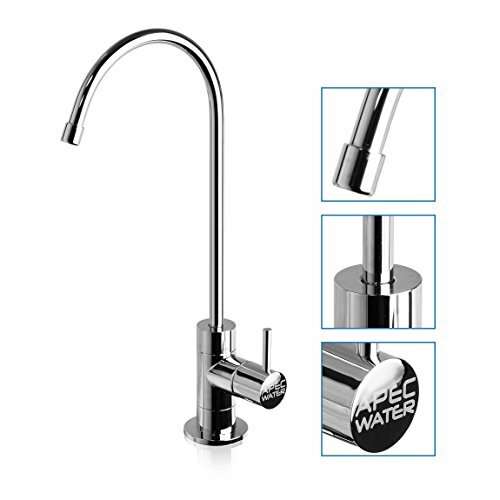 Enjoy unlimited ultra-fresh, healthy, great tasting drinking water straight from your kitchen tap for cooking and making delicious coffee, tea & ice. 1st stage: high-grade 5 micron 10 inch high-capacity polypropylene sediment filter -removes dust, particles, and rust. Protects and extends the life of the membrane and system. 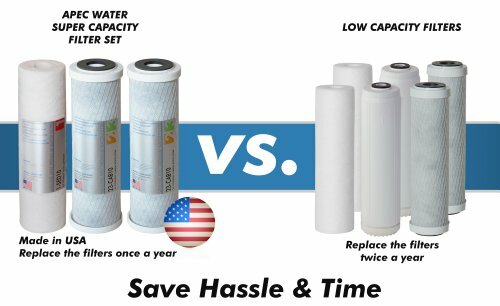 2nd stage & 3rd stage: premium extruded carbon block 5 micron 10 inch -gets rid of unpleasant chlorine, tastes, odors, cloudiness and colors. Also removes VOC and other common chemicals from the water. 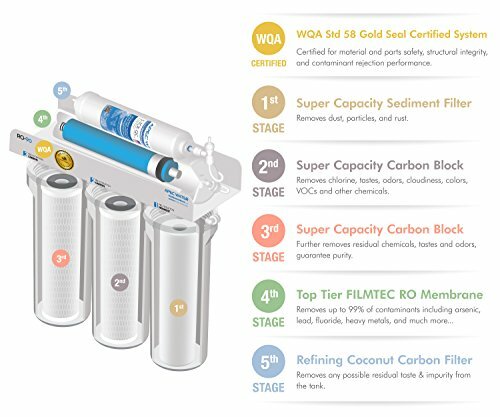 5th stage: advanced coconut shell refining carbon 10 inch - Total Contamination Removal(TCR) filter removes any possible residual taste from the tank. 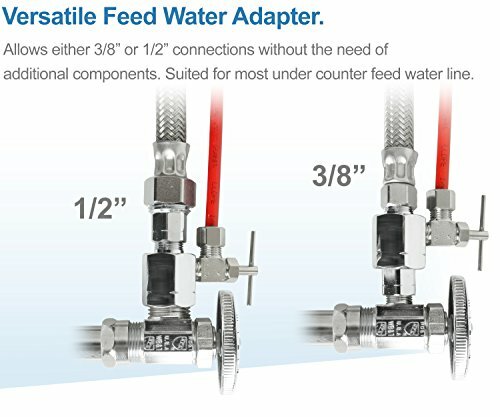 Top tier US brand, high performance Drinking water system provides refreshing crisp taste, superior to bottled water.The original, top-notch JG Quick Connect fittings, requires no extra lock clips or steps to seal leak. Super secure & convenient. 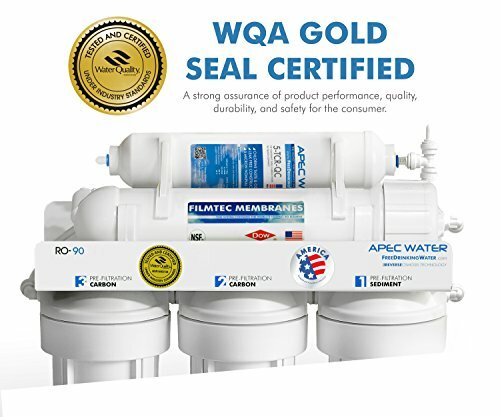 Highest grade 5-stage ultra-pure system with 100% US made filters to guarantee water safety & your health. 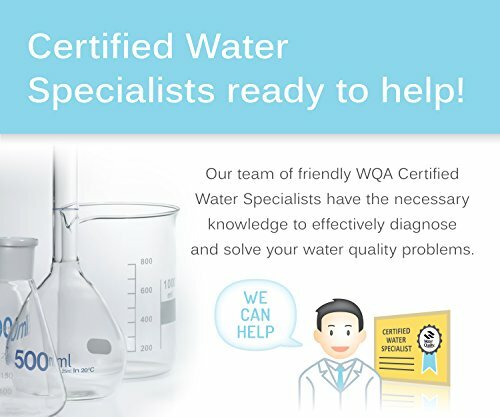 Supreme quality - designed, engineered and assembled in USA to guarantee water safety & your health.